Prize: Photographer of the Year - $25,000 (USD) / Sony digital imaging equipment / Included in exhibition at Somerset House, London. 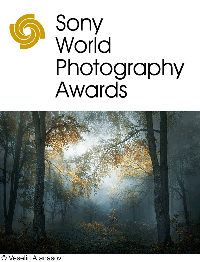 Category winners - Flights & accommodation to awards ceremony in London / Sony digital imaging equipment. What you must do to enter: All entrants must be over 18. There are 10 categories: Architecture, Brief, Creative, Discovery, Documentary, Landscape, Natural World & Wildlife, Portraiture, Still Life, and Sport. Statistics: This contest was opened by 116 and entered by 0 ContestChest.com members. 0% of those who opened the contest, entered it.